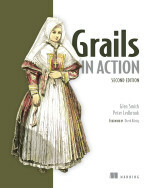 After I’d finished the first edition of Grails in Action with my co-author Glen Smith, I told myself I’d never write another book. Then people asked whether a second edition would be forthcoming. “Hmmm”, I thought, “it can’t be that much work to do an update.” After a long period of time, we managed to finish that and I once again promised myself never to write another book, new editions included. But it seems I’m a sucker for punishment. 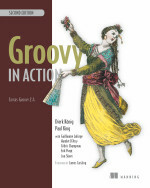 I’ve decided to have a go at a self-published introduction to Groovy as I feel this is a weak area at the moment. The idea is to give developers from other languages a smooth ramp-up to the language without crossing into the kind of depth that Groovy in Action has. The working title is Practical Groovy as I’m hoping to orient it towards learning through practical examples. To aid in this endeavour, I’m making the early drafts of the book available publicly on GitHub so that people can provide feedback through GitHub issues. The first drafts of the first two chapters are currently available as both HTML and PDF (you’ll find the links in the GitHub project’s README). Later drafts will bring more structure. Hopefully either you, your colleagues or your friends will find this helpful in the process of learning our favourite language! This entry was posted in Groovy & Grails on April 2, 2015 by Peter.